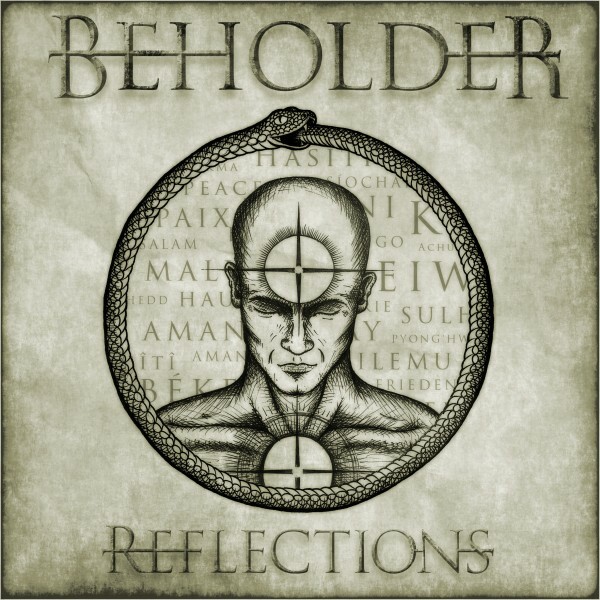 REVIEW: BEHOLDER “REFLECTIONS” – U.K. Progressive Metallers return with their third album. The very lion heart of U.K metal returns with an album that far exceeds the standard of their peers. Beholder, the four-piece juggernaut of crushing progressive Heavy Metal, deliver their third contribution to their legacy; in the form of ten monstrous tracks. Ladies and gentlemen, boys and girls, let us introduce you to “Reflections”. For those already accustomed to Beholder’s previous studio albums, “The Awakening” (2009) and “The Order of Chaos” (2013), you may well agree that their sound and confidence as a band had progressed massively during the duration of those two albums, leaving a feeling of encouragement and anticipation for their future. Now as they return to the front line of British Heavy Metal, the blood, sweat and tears of this band, are finally laid bare for all to see. The first notes of Beholder’s return, come out punching in the form of “Frozen Steps of Utøya”, which has all the components of a stone cold classic! 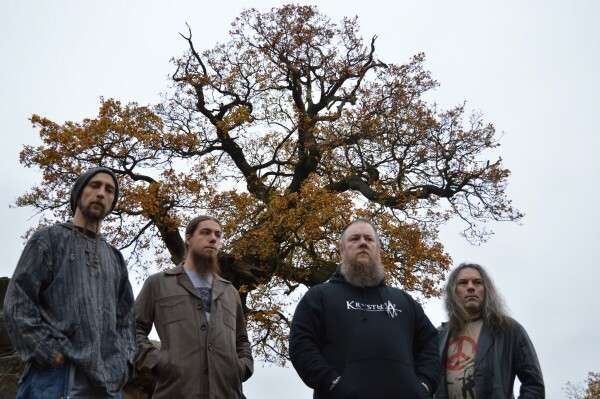 Imagine a combination of riffs sculpted from the very pumping heart of Meshuggah and Gojira, yet delivered with a box-fresh vocal approach, that is more akin to a NWOBHM sound. Guitarist Scott Taylor delivers a “Mastodon-esq” plethora of riffage during the opening bars of ‘I. Machine”, urging you to reach for the repeat button, with the intention of letting the full wallop of the groove wash over you. The venomous delivery from front man Simon Hall, as he roars, “eat, sleep, work, die” just solidifies this albums sheer strength, both lyrically and sonically. The battering ram drumming of stick-man, Chris Bentley and the warm low-end skills of Si Fielding shine through on the production, which normally seems to be an element frequently overlooked with bands of the same ilk. The attention to detail with melody and structure is very impressive indeed and this is really where Beholder truly excel and rise above the herd. The use of sonic dynamics on “Reflections” as a whole, provide the listener with a complex and engaging landscape offering variations of aural light and shade. Just check out the middle eight section on “Heal The Wounds” if you don’t believe us! With a subtle tip of the hat to Opeth, “Host” provides a monstrous merry-go-round of melody and weight, and the catchy chorus of “Dance Macabre” floats over a selection of delicious key changes, just begging to be played live. What is abundantly clear from “Reflections” is the truly awesome power of Hall’s vocal range and delivery throughout. A fine example can be found on “Breath in the Science” and “Killing Time”, which I’m sure would warrant a smile of approval from the late, great Ronnie James Dio. As the journey of Beholder’s third studio album comes to an end with “Army of One”, “My Revolution” and the blistering finale that is “Speak To Me”, it’s abundantly clear that “Reflections” is a game changer for this band. The carefully selected running order of the track listing pays off, as it gloriously unfolds with layer upon layer of thought provoking lyrics and powerfully crafted compositions. It’s been three years since the release of their sophomore release and during that time, a tremendous amount of growth, evolution and confidence has clearly touched the band, resulting in an album worthy of leading the charge from the underground U.K. metal scene, straight into battle and beyond. A triumph of a record! All musical content written, composed and arranged by Taylor, Bentley & Fielding. All lyrics and vocal arrangements by Hall. For more information on Beholder, please click here.